While keeping resources on the Wall, the Emperor issued a royal decree for volunteers to join in a special envoy to help those south of the border home. The reward; a plot of land in the resettlement village, and small monetary compensation. The heroes are part of a voluntary group heading to the evacuation point known as Red Stone, a day and a half travel outside the wall. The day is hot, the air is dry, and the thirst for water is unquenchable. 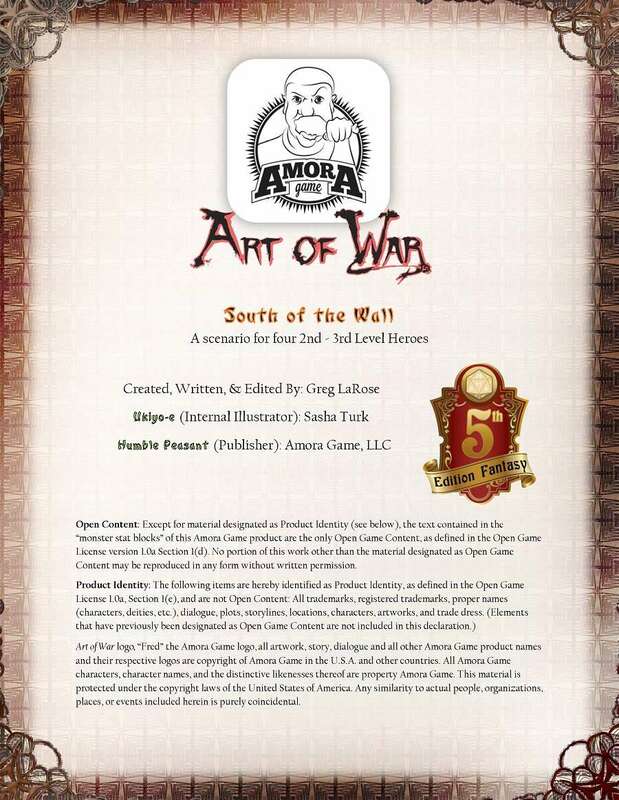 This pdf serves as a introductory adventure to the 5th edition version campaign setting of Art of War Kickstarter ending on May 8, 2018. This title was added to our catalog on April 28, 2018.